Condensation in roofs has become more of a problem as we introduce more insulation and eliminate draughts in our homes. It is often linked to older style impermeable roofing felt which has been around since the 1930s although breathable membranes, which were introduced in the 1980s, are not immune in some circumstances. 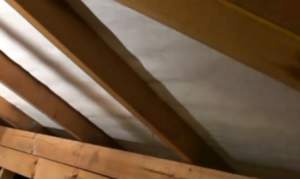 Prevent potential pests like insects and birds from entering the roof through small gaps. Despite its benefits, older style roofing felt can contribute to an unwanted side effect – condensation in the roof which can lead to the rotting of timbers and damp appearing on ceilings. Roofing felt is impermeable to water so it will not allow moisture to escape from the roof. Breathable membrane does allow water vapour to escape from the roof space but if other circumstances are working against it then it may not be sufficient on its own to prevent condensation. Nowadays condensation problems are well understood and most new homes are designed with suitable ventilation to prevent condensation occurring. However, in properties 20 to 80 years old this can be a potential problem, particularly with the recent drive to insulate houses by putting thick layers of thermal insulation in lofts and to reduce air infiltration by stopping draughts. The loft insulation means the roof space is colder than before which encourages condensation in the roof. Installation of a wood burning stove has also been cited as a cause as the wood burner seems to provide a “thermal” in the house, helping all the moist air to rise faster. The warm moist air enters the roof space through gaps in loft hatches or where bathroom plumbing goes through the roof space. When it hits the cold air in the roof space it condenses on the nearest cold surface – the roofing felt. It can be hard to identify the exact spot causing problems as once water condenses it can then run down the rafters and form damp spots away from the original source of the drip. The solution to condensation in roofs is straightforward. Prevent moist air from entering the roof space and ensure there is adequate ventilation and air flow in the roof space. Ensure that the loft hatch has a suitable seal to prevent air rising into the roof space and is well insulated. Avoid having gaps in bathroom ceilings and make sure that any shower extractor fan is not discharging into the roof space. If you have one, ensure the central heating cold water tank in the loft is covered so no evaporation can occur. Cooking and bathing/showering are some of the biggest culprits for generating moist warm air (as well as people breathing!). It is important to have adequate air extraction in these areas so the moist air is cleared to the outside of the house quickly, rather than being allowed to cause condensation and mould problems. Kitchen extractor hoods and wall or ceiling mounted bathroom/toilet extractors can play a part. If mould and condensation is a problem more generally then a Mechanical Ventilation Heat Recovery System (MVHR system) may be worth a thought if a full house refurbishment is being considered. The benefit of a MVHR system is that it recovers the heat from the extracted air and uses it to heat incoming fresh air from outside. If you have enclosed soffits then consider adding eaves vents to improve air circulation (be aware that old roof soffits may contain asbestos though). These can be installed from the outside using a ladder or sometimes internally from the roof space. Consider adding some form of roof ventilation. Roof vents which replace tiles can be installed but due to cost this is much better done as part of a re-roof. To add eight vented tiles into a roof space would cost around £650-£700 (made up of 8 x vented tiles @£30 + access tower @£150-£200 + £260 labour ( 1 day for 2 people). To do this as part of a reroof would cost around £250. On new houses you can often see roof vents installed in the roof. These are generally for extractor fan outlets rather than for ventilating the roof space. A local roofer will be able can advise on the best steps to take to improve the roof space ventilation and avoid condensation in roofs. Provided safe access to the roof space is available then most of these actions are fairly low cost (under a couple of hundred pounds). I have a dilemma and need some advice on how best to tackle the problem. We have a loft which has been I dilated with celotex and there was sufficient spacing between the room to allow air circulation. I’ve notice under the ever section there is condensation on the old style felt and as a result it’s rolling down the celotex and onto the floor of the storage area under the eve. I’ve had 8 vent tiles fitted by a roofer on the lower part of the roof near the front of the house. This has made no difference. The roofer suggested if the vent tiles didn’t clear the issue then we may need to consider putting ridge vent tiles along the whole of the roof.. we’vealreadyspent near enough £800 already. Can ceilings be porous? If so would it be beneficial to put tin foil between joists to act as a moisture barrier? I get very isolated droplets of condensation on the roofing felt next to a few rafters. I have plenty of soffit vents but wondered if a vent on the apex would help? Invaluable info. Thank you Jon. Searched alot before getting to you and i now know the reason for the condensation along the inside of the roofing felt. It occurs directly above my bathroom extractor and watertank area where i have not got a proper lid for. 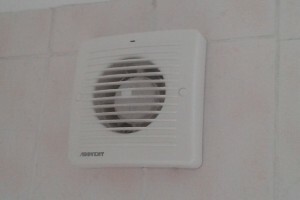 The use of extractor fans in key areas; namely bathrooms and kitchens can also pose a useful tool. Typically these are the dampest rooms in the house, so providing a mechanism whereby the moisture in the air can be drawn outside can be beneficial for reducing the humidity inside, and hence the amount that can make its way into the loft. Cassie you are absolutely right. Removal of the moist air is a key element of avoiding condensation more generally. I have added a little more detail to the article regarding extractors. Thanks for your feedback. Update: Also added information on whole house extractors known as Mechanical Ventilation Heat Recovery systems.